In order to teach anatomy, the good doctor needs cadavers. A grave robber supplies them, and over the course of many years the two develop a mutually benificial but hate-filled relationship. Gothic. 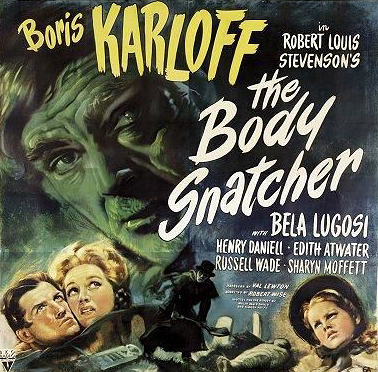 With this role, producer Val Lewton gave Karloff the chance to strut his acting stuff, and Boris was up to it. One incentive lay in the fact that his foil in the film was the incomparable Henry Daniell. If Karloff was going to advance his reputation, he'd have to hold his own with Daniell's subtle but menacing charisma.